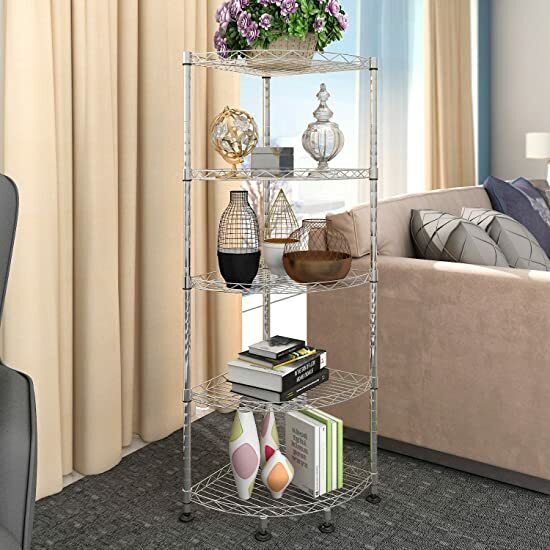 Lifewit 90-degree corner wall shelf fits into any corner of your room perfectly and is ideal for the bedroom, living room, kitchen, and bathroom. 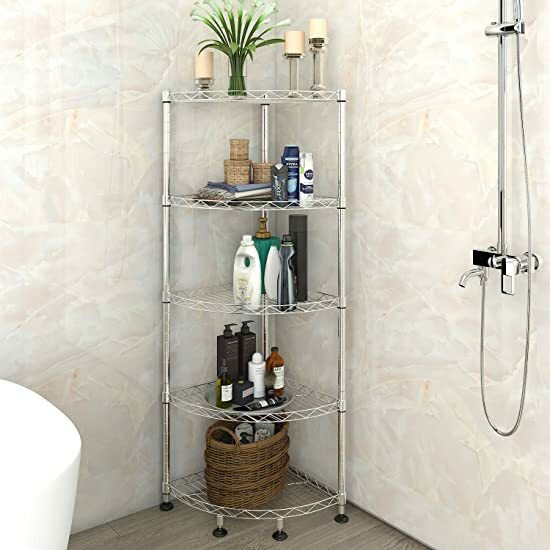 It is constructed with sturdy carbon steel, chrome, varnish for durability and reliability. Each self has a maximum weight capacity of 88lbs / 40kg. 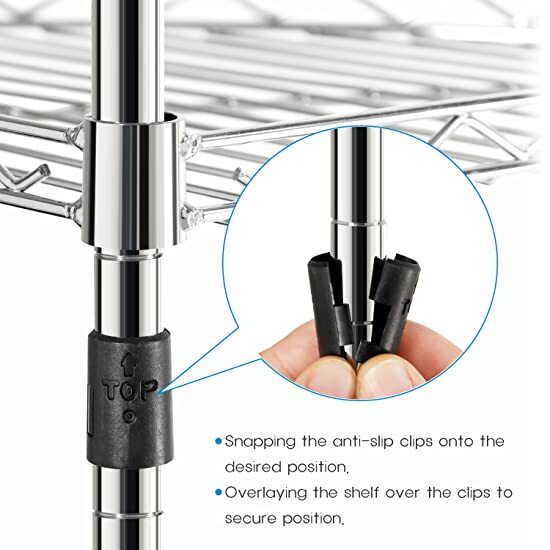 The anti-slip clips enable easy and fast height adjustment of the shelves. 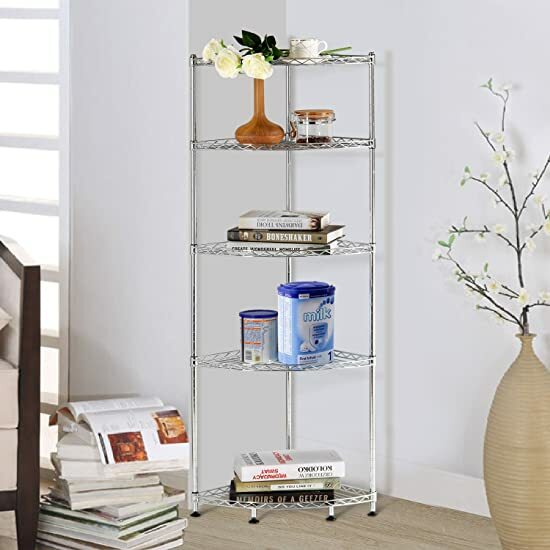 The open wire shelf design reduces dust and dirt buildup on the shelves. It is easy to assemble, and no tools are required for assembly. 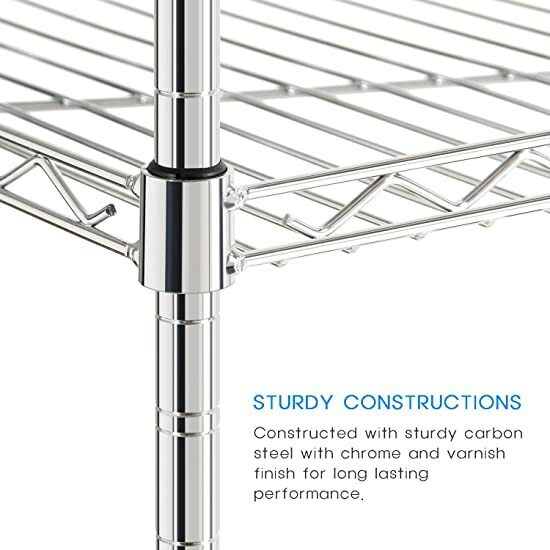 CONSTRUCTION: Constructed with sturdy carbon steel with chrome and varnish finish for long lasting performance. The 90-degree corner design enables it to fit into any corner of your room. 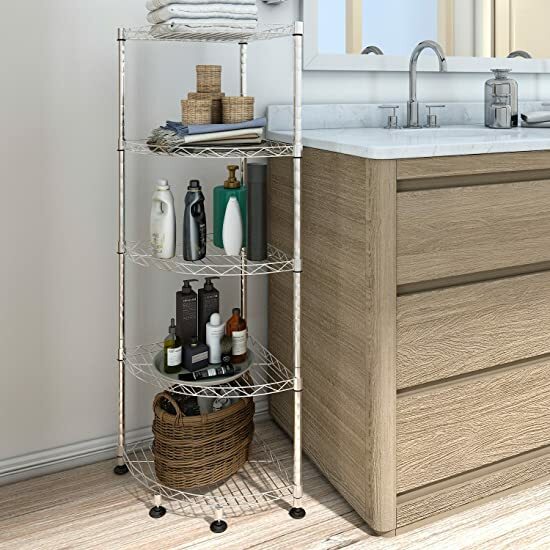 ADJUSTABLE HEIGHT: Adjust the height of each shelf by snapping the anti-slip clips onto the desired position, then insert and overlay the shelf over the clips to secure position. 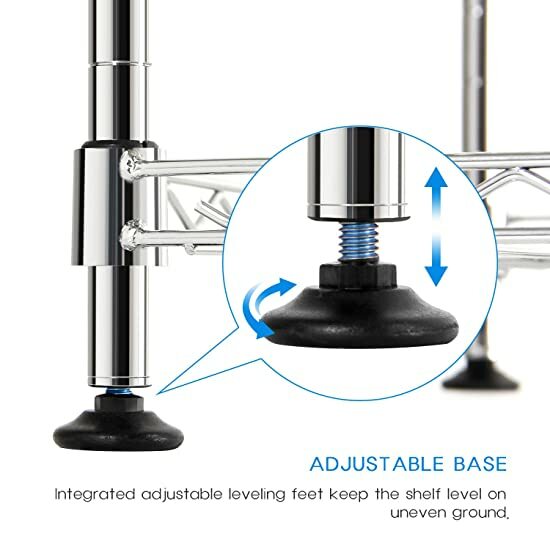 ADJUSTABLE FEET: 5 Adjustable rubber-ended leveling feet keep the unit in place and allow you to balance and stabilize it, even on uneven floor. 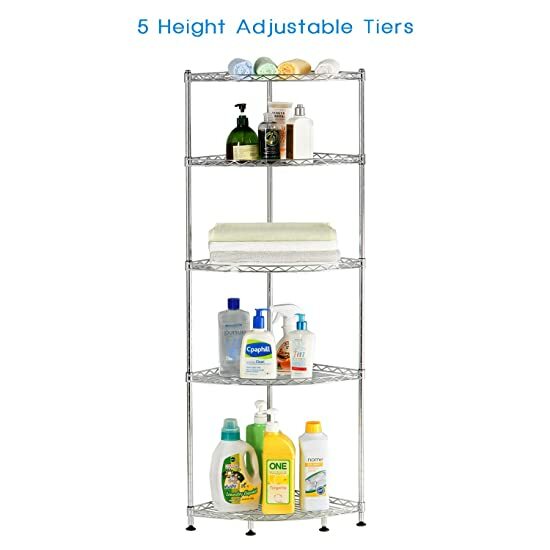 EASY TO ASSEMBLE: Simply slide the shelf on the top of the clips that keep it in place at a desired shelf height. Please make sure the shelves are flipped the right way so that they completely fit over and cover the plastic clips for safety use. 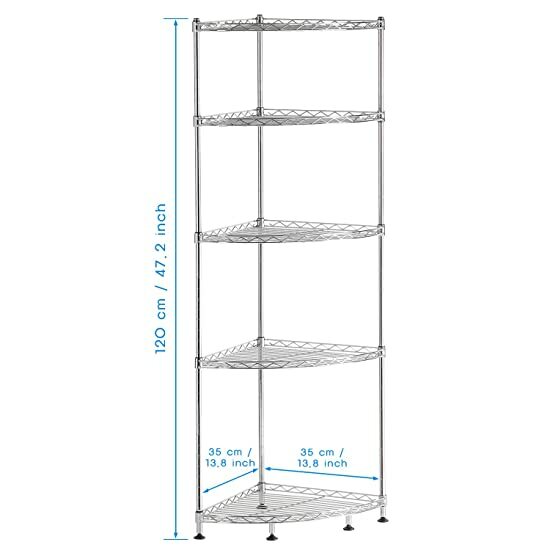 WEIGHT CAPACITY: Each shelf has a maximum weight capacity of 88lbs / 40kg.